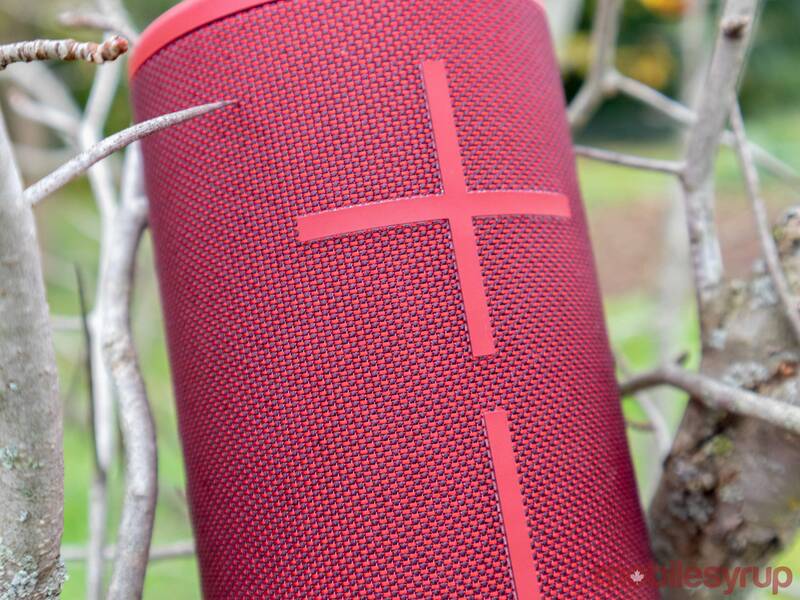 The Logitech-owned Ultimate Ears (UE) Boom speaker line has steadily increased in quality and notoriety since the release of the first UE Boom five years ago. 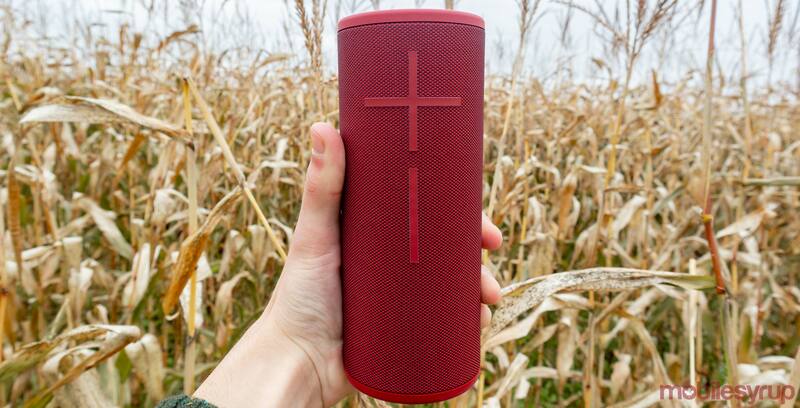 The brand’s latest speaker, the UE Boom 3, continues to raise the bar. The speaker builds heavily on the older Boom’s legacy while taking a few design lessons from the company’s smart speaker, the Blast. It sounds great, lasts for 15-hours on a single charge and includes a handful of fun, useful features. Even though it’s an iterative update to the previous Boom, this refresh is the most significant improvement to hit the line in five years — and it pays off. The speaker is slightly bigger than both of the older models. This increase in size doesn’t make it any worse than the past speakers, though I liked the look and feel of the smaller UE Boom and Boom 2. The Boom 3 utilizes a refined high-endurance, two-tone mesh that’s used to make motorcycle jackets. 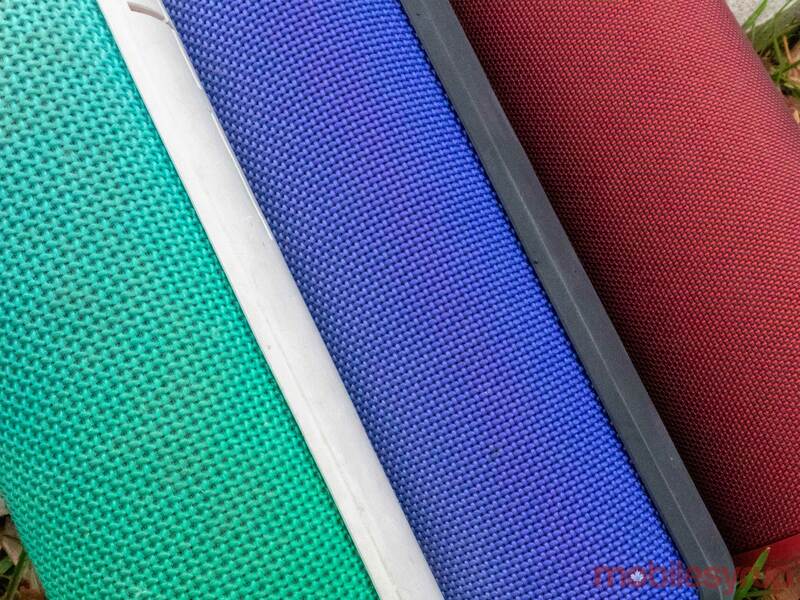 This material makes the speaker even stronger than its older siblings, which in my experience were as tough as nails. The new speaker feels just as sturdy as the previous Booms, and it’s rated drop-proof from five feet, giving users peace of mind. From left to right: The mesh featured in the Boom 1, the Boom 2 and the Boom 3. Speaking of peace of mind, the UE Boom 3 has an IP67 water and dust rating. This means you submerge it in a metre of water for about half an hour. UE has even made sure the speaker floats, which is a pretty cool feature if you trust the speaker’s water resistance rating. 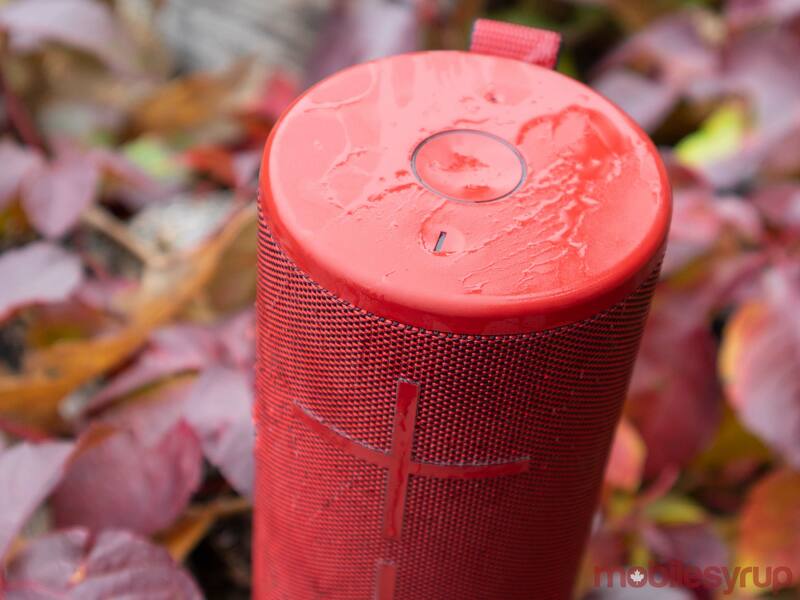 The older Booms were only rated IPX7 (Boom 2), and IPX4 (Boom 1), which means they could handle splashes but weren’t truly waterproof. Previous Booms included a small metal semi-circle hook on the bottom that was hard to use thanks to its small size and poor placement. The new speaker features a larger cloth loop attached to its top rim instead, and since it’s on the edge of the device, it’s more convenient. Furthermore, UE moved the charging port to the side of the device instead of the bottom. This means you no longer need to turn it upside down to charge. There’s also an interesting port on the bottom of the speaker that is designed for UE’s dedicated charging dock. The new addition to the Boom 3 is a large button on the top. Called the ‘Magic Button,’ it functions like the dedicated hardware key on most modern headphones: a single press for play/pause, two quick presses skip to the next song and three taps goes back a song. Apple Music or Deezer Premium subscribers can hold the Magic button to start a dedicated playlist. Along with the Magic button, the Boom 3 includes a few other buttons: a pair of volume buttons, a sync button and the power switch. It would have been nice for the Magic Button to activate the phone’s digital assistant. The Boom 2 still lets users tap the Bluetooth button to activate the assistant, so it’s unexpected that the Boom 3 doesn’t also include this functionality. Overall the hardware and design is a pretty significant improvement over previous Boom models. The only drawback is that given the speaker’s slightly larger size, the volume buttons aren’t as clicky and this iteration has lost the 3.5mm headphone jack. That said, depending on how you used the original Boom, it’s unlikely you’ll miss these features. Is it loud enough to party? The Boom 3 sounds excellent. The bass isn’t earth-shattering, but it does represent the low-end of the music clearly. For most situations, its maximum sound level of 90dBA is enough to keep the party going. 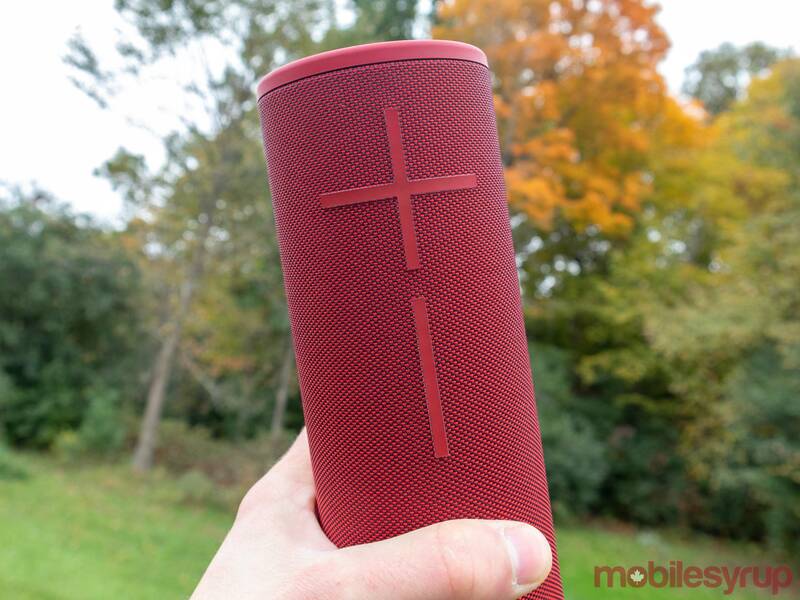 The speaker maintains its sound clarity at maximum volume as well, unlike other comparably priced Bluetooth speakers. This means you don’t have to worry about distortion when you want to crank it. The sound pumps out of dual 50.8mm drivers (2-inch ) and a second set of 50.8mm x 101.6mm (2×4-inch) passive radiators. These are the same size speakers that were featured in the Boom 2, but to my ears, the Boom 3 has more clarity and range when compared to the Boom 2, making it sound better at full volume. For users that need more bass, UE has a larger speaker called the Megaboom 3 that packs in the same dual 50.8mm (2-inch) drivers, but it’s accompanied by two more 55 x 86 mm (2.17 x 3.39-inch) passive radiators. 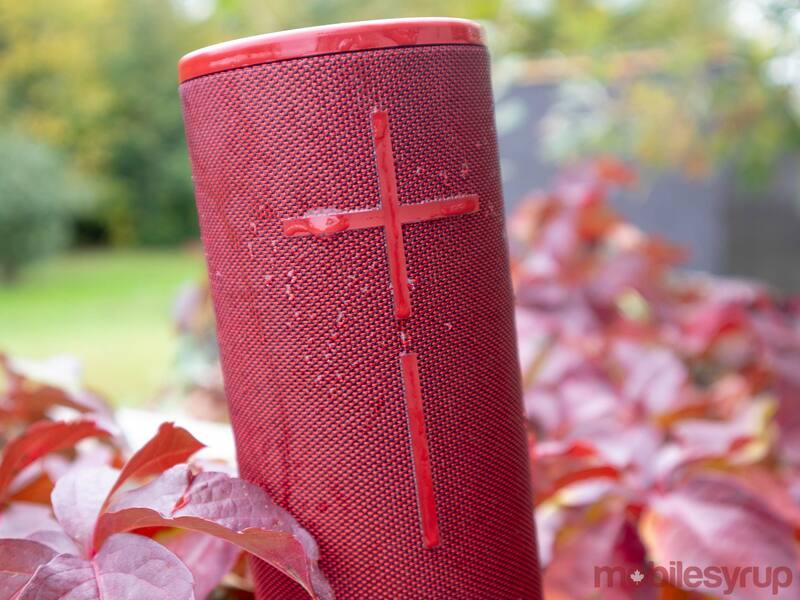 The battery life on Boom speakers has always been fantastic, and the Boom 3 is no exception. UE rates it for 15 hours of playback, and in my experience, it hits this mark. 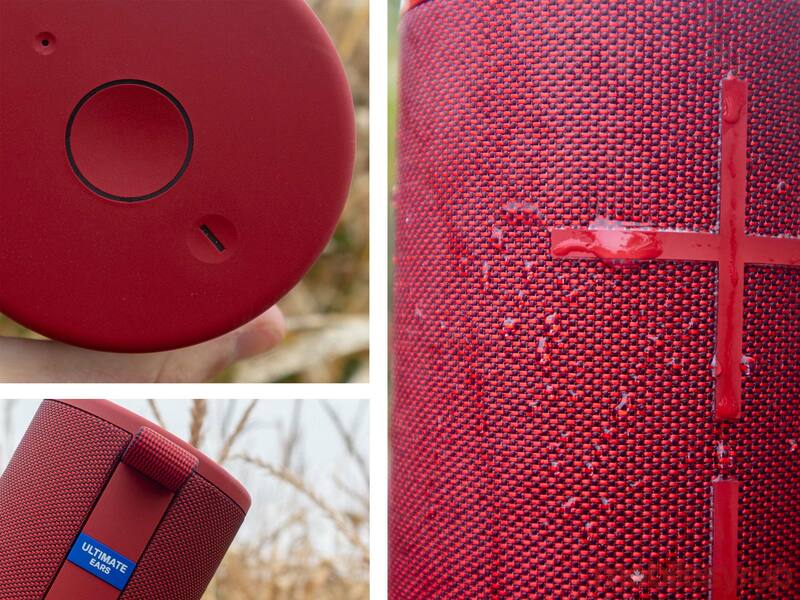 I took the speaker on a recent camping trip, and while it didn’t get used regularly, it did last through four days of moderate use before it died. The speaker takes around five hours to charge, and once it dies, it needs to be plugged in for a while before it’s ready to be used again. This isn’t awful since its battery lasts such a long time, but a quick charge feature would have been appreciated. Oddly enough, the Boom 3 is the first UE Boom to not come with a charging brick in the box. It does include a micro-USB cord, but the lack of a brick is a little disappointing. The speaker also has a dedicated app that, while not necessary, adds some depth to the device. The most helpful feature allows users to turn the speaker on and off remotely. The Boom app also features an equalizer with four pre-set modes ranging from a standard level to a set of scales that are tailored towards cramped spaces. There are also virtual volume buttons for the speaker if your phone’s volume controls don’t match up with it. Screenshots of the app’s home screen, PartyUp, and Block Party screens. Another one of UE’s killer app features is ‘PartyUp’ mode. It allows users to connect to and play music on up to 150 UE speakers that support the feature. 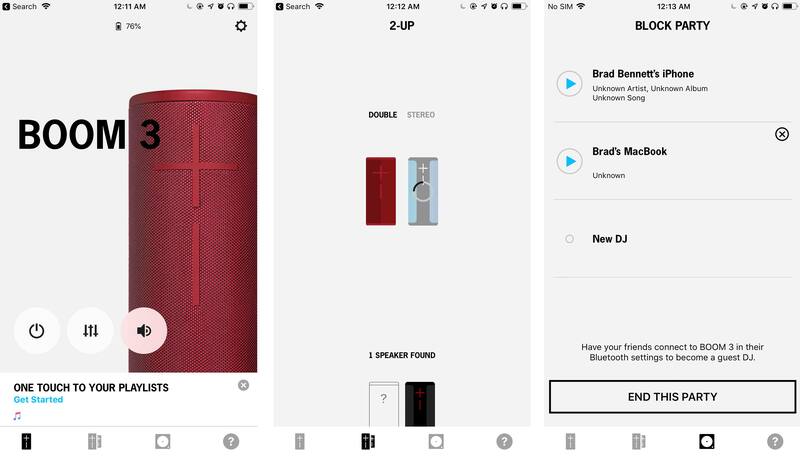 PartyUp works on all of the devices in the Boom line of speakers, except the Wonderboom. This feature temporarily allows you to set up multi-room audio or a faux surround sound, and there is even the option to set the audio to stereo. Users can also enable PartyUp by holding the Bluetooth and volume up button until the speaker makes the pairing sound. Next, double tap the Bluetooth button on nearby speakers to connect them. ‘Block Party’ is a neat app feature that allows up to three devices to connect to a single speaker, allowing a few people to play the role of DJ. The UE Boom is a fantastic speaker that sounds clear and gets really loud given its small size. The waterproofing and long-lasting battery life are also essential features that I miss on other speakers. Being able to put the speaker on the shelf in the shower and skip songs with the Magic Button is an amazingly convenient feature. It is a little pricey, but if it’s anything like the older Booms, it will last for years. Combined with how well it performs, the UE Boom 3 is a worthwhile purchase. The Boom 3 comes in four colours: Ultraviolet Purple, Sunset Red, Nightblack and Lagoon Blue. It retails for $199.99 CAD. "Even though it's an iterative update to the previous Boom, this refresh is the most significant improvement to hit the line in five years -- and it pays off"